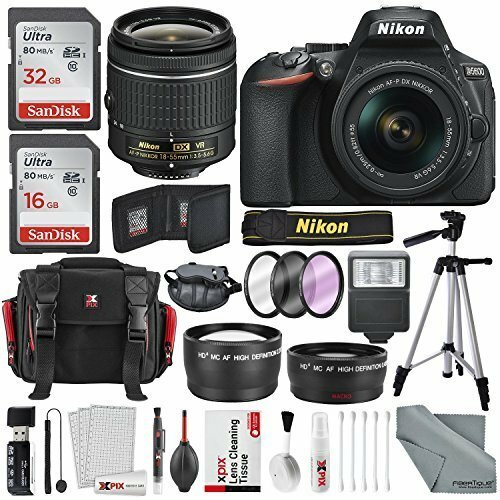 The Nikon D5600 is an upgrade version of the Nikon D5500. 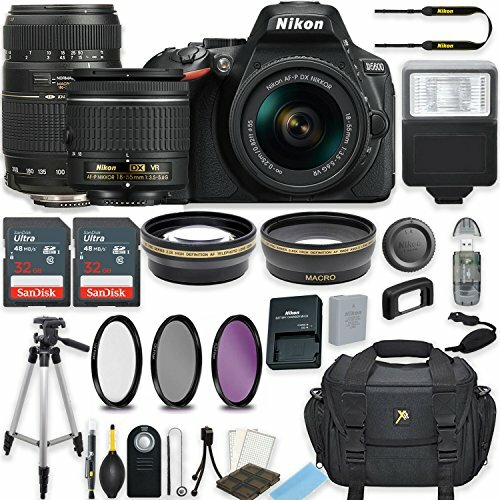 It is one of Nikon’s entry-level DSLR cameras. It comes with inbuilt Bluetooth and compatible with Nikon’s SnapBridge app. The D5600 is one of the smallest DSLR bodies. The thin camera body of the Nikon D5600 means its handgrip is much deeper. It also has a wider space for your hand between the lens and grip. This entry-level DSLR camera is very comfortable. 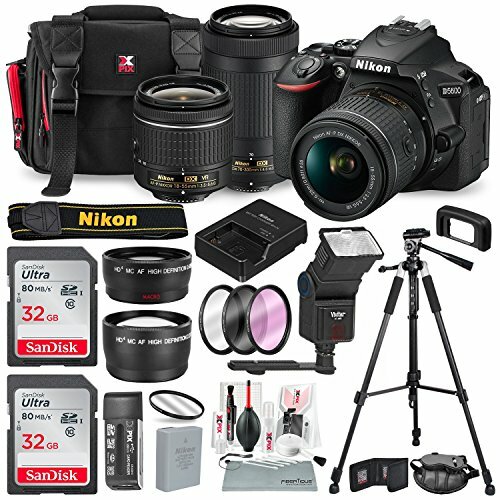 The body for this best DSLR camera for beginners is made from a monocoque design. 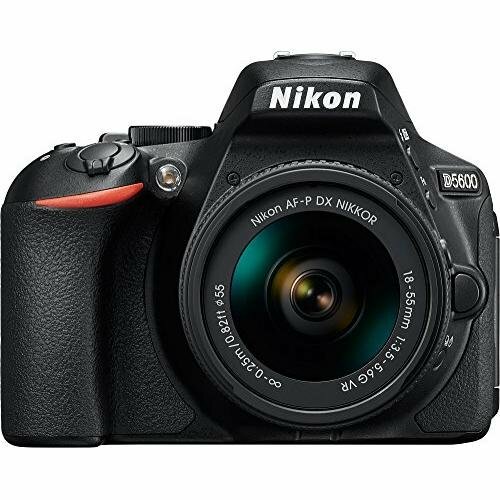 It enables the Nikon D5600 to be smaller, feel solid and well built. It also comes additional premium touches including a stylish finish on its mode dial and command wheel. An eye –detection sensor is included above the optical viewfinder. The Nikon D5600 knows when you are holding it to eye level. It is useful that you don’t have to worry about accidentally adjusting the Nikon D5600 settings on its rear touch sensitive screen. The camera features a 24 megapixel APS-C CMOS sensor. 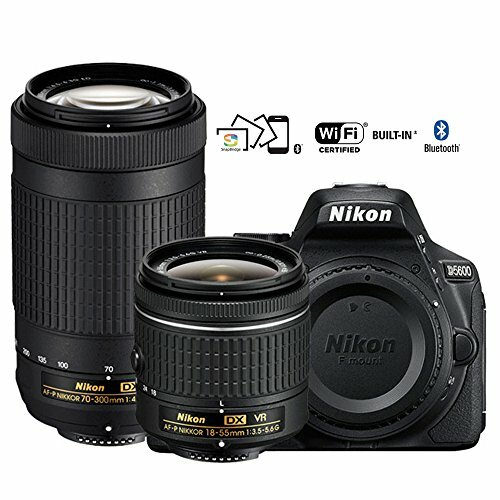 However, the Nikon D5600 comes with no Optical Low Pass Filter (OLPF). This entry-level DSLR camera is designed to give the sharpest image quality. 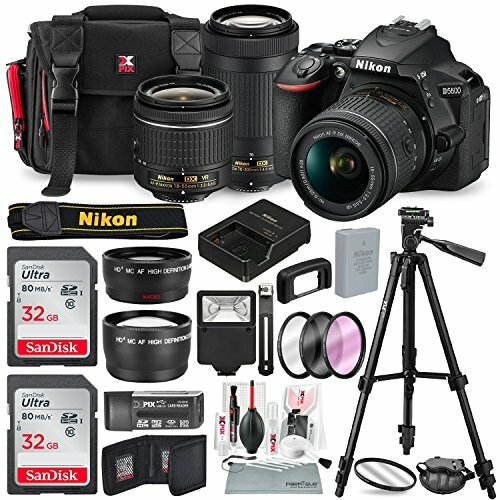 It has full manual controls with automatic and scene mode making it a best DSLR camera for beginners. 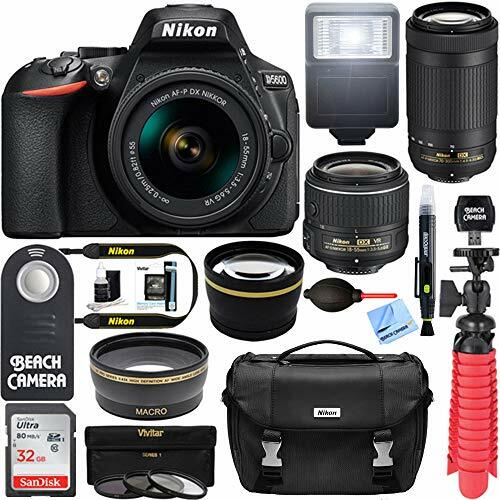 It has effects including Night Vision boosting the ISO setting of the Nikon D5600. This entry-level DSLR switches back to black and white. It enables taking photos at quicker shutter speeds. Nikon D5600 does this even in extremely dark conditions. It can be used with a tripod. This best DSLR camera for beginners has an impressively bright 3.2-inch touchscreen. It is useful in changing settings and focus point. The screen can be tilted to awkward angles. 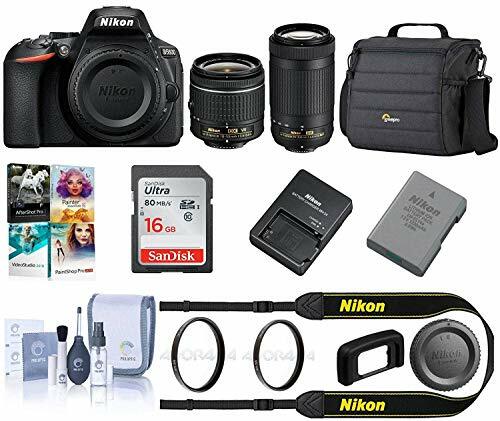 Nikon D5600 has full HD video recording including stereo sound. The entry-level DSLR camera for beginners records full HD Video at 24p, 25p, 50p and 60p. It comes with a built-in microphone to record stereo sound. Those who want to improve on sound quality, the D5600 has a mic socket. There is also an option of an off-camera microphone. It comes with inbuilt Wi-Fi, Bluetooth, and NFC. The user is able to move media to a smartphone or tablet. The Nikon D5600 can be controlled remotely. With its app, upload images from the Nikon D5600 to your social networks like Facebook. The entry-level DSLR camera has low power Bluetooth. Images are transferred to a smartphone automatically. 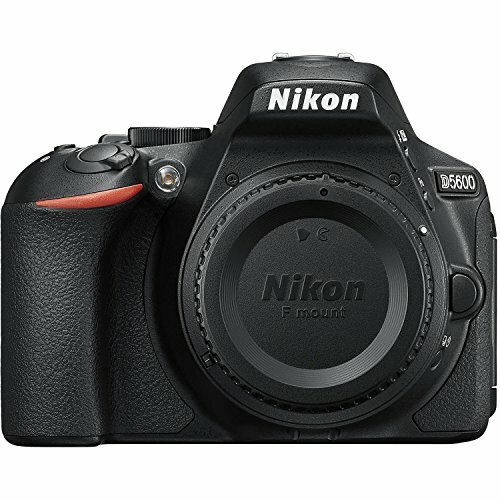 The D5600 is a capable DSLR with an added always-connected system for communicating with smart devices. It does many things well but what should be the cool features aren't as polished as the underlying camera.